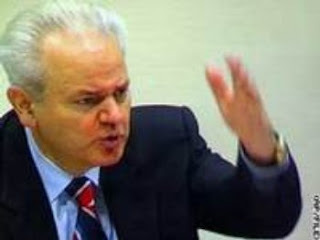 When Mr Slobodan Milosevic died, I was probably one of the saddest individuals to receive the news of his death. Why? Because many of his victims failed to see justice delivered by convicting him for human rights catastrophy he caused in the Balkans. Mr Milosevic was charged with 66 counts of genocide and crimes against humanity. What were the chances that he would be acquitted on all counts? None! "Unfortunately, key arguments were not submitted to the International Court of Justice in the Hague at all! The most significant evidence clearly proving the intentions and aims of Serbia were the records of the sessions Milosevic held with the military and political leadership of Montenegro... these records were already in the Hague, but not in the premisses of the International Court of Justice, but ICTY where individuals have been put on trial. However, this evidence, according to the deal made between the ICTY and the government of Serbia MAY NOT BE USED for any other purposes except the stated ones, in particular not to be used in the case of Bosnia-herzegovina vs. Serbia and Montenegro. So simply put, legal team of Bosnia-Herzegovina was not allowed at all to submit the crucial evidence to the Court of Justice at all!" (Interview February 24th, 2007). 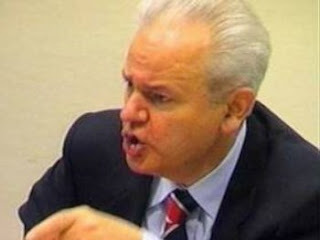 Mr Milosevic and Serbia had direct hand in the Srebrenica massacre in July 1995, Europe's worst atrocity since World War II, according to a copy of an official Bosnian Serb document presented at ICTY (International Crimes Tribunal for Yugoslavia) in the case against Mr Milosevic. It had been widely assumed that by the summer of 1995 Serbia had cut off ties with the Bosnian Serb leadership and that the former's forces had not taken part in the Srebrenica operation. The document, dated July 10, 1995, is an order from Bosnian Serb minister of interior Tomislav Kovac instructing his subordinates to move a unit that included members of Serbia's interior ministry police, MUP, which were fighting around Sarajevo, to eastern Bosnia to participate in the Srebrenica operation. Under the Serbian constitution, the president of Serbia, a post that Mr Milosevic held at the time, is directly responsible for the actions taken by his republic's police force. Serbia’s involvement, as a principal actor or accomplice, in the genocide that took place in Srebrenica is supported by massive and compelling evidence. Disagreement with the Court’s methodology for appreciating the facts and drawing inferences there from The Court should have required the Respondent to provide unedited copies of its Supreme Defence Council documents, failing which, the Court should have allowed a more liberal recourse to inference. The “effective control” test for attribution established in the Nicaragua case is not suitable to questions of State responsibility for international crimes committed with a common purpose. 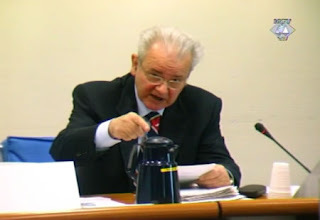 The “overall control” test for attribution established in the Tadić case is more appropriate when the commission of international crimes is the common objective of the controlling State and the non-State actors. The Court’s refusal to infer genocidal intent from a consistent pattern of conduct in Bosnia and Herzegovina is inconsistent with the established jurisprudence of the ICTY. The FRY’s knowledge of the genocide set to unfold in Srebrenica is clearly established. The Court should have treated the Scorpions as a de jure organ of the FRY. The statement by the Serbian Council of Ministers in response to the massacre of Muslim men by the Scorpions amounted to an admission of responsibility. The Court failed to appreciate the definitional complexity of the crime of genocide and to assess the facts before it accordingly.